The Cove to Clover is an annual fundraiser co-founded by John Nelson & Mick Purdy. Proceeds benefit the Highline district schools, food bank & more so its a great cause. There's a half marathon, 10K/5K and 1K race, a pub crawl, entertainment tent, beer garden, and the popular snake pit ( where kids held tarantula's and snakes) . The 5K race starts at the Cove Community Ctr in Normandy Park & weaves up snake hill to finish at the Clover in downtown Burien. At the top of steep winding "snake hill", is a bagpiper to greet the masses and hurry them on their way. 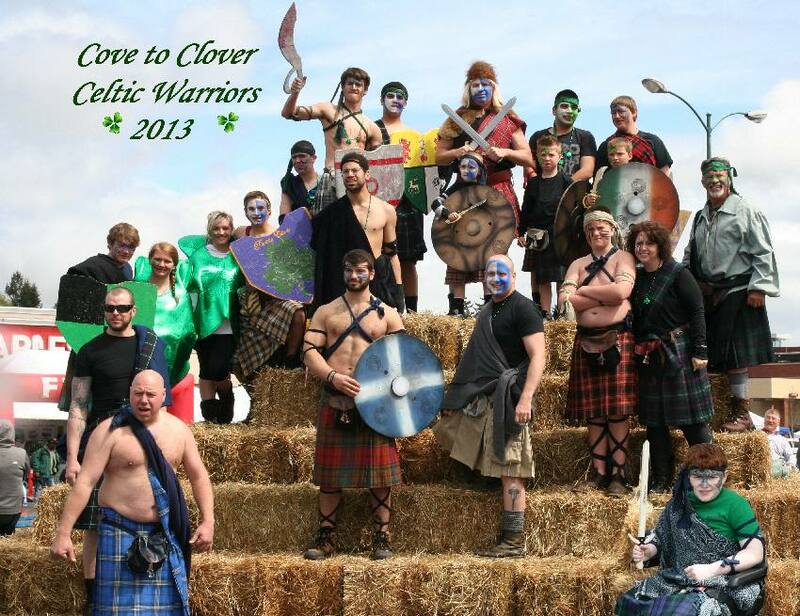 The uprising wall near the Clover finish line was defended by Celtic Warriors as the runners tried to clear that obstacle. A big thanks go out to all the volunteers who make this great event happen ! ( that link gets fussy with some versions of the IE browser).